With the addition of Ahti Oksanen solidifying the upcoming season’s defense corps, BU took another step to strengthen its future along the blueline, obtaining a commitment from St. Sebastian’s defenseman Dalton MacAfee for the fall of 2013. MacAfee, a 6’0”, 180 lb. Needham, Mass. native, was the second highest scoring defenseman (1-15-16 in 28 games) on an Arrows squad that was led by current BU freshman Danny O’Regan and that reached the championship game of the NEPSAC Martin/Earl division. MacAfee also is a standout lacrosse midfielder who had committed to Notre Dame a year ago for that sport. 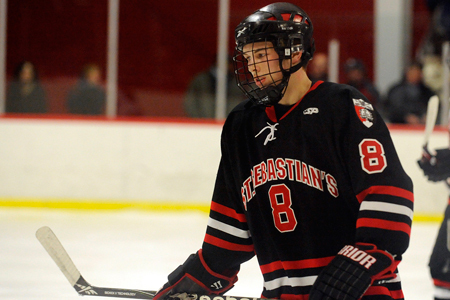 After taking a big step up as junior on the St. Seb’s blueline, MacAfee elected to focus on hockey during college. He comes from a very well-known and athletic family. His grandfather, Ken MacAfee, was an NFL wide receiver during the 1950s and played on the New York Giants 1956 championship team. His father, Ken MacAfee, Jr., was a standout tight end at Notre Dame, where he was Heisman finalist as a senior, before playing in the NFL with San Francisco. 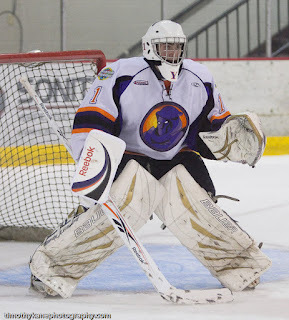 MacAfee is the third defenseman in the 2013 recruit class, along with Marc Hetnik, Jr., and Doyle Sommerby. ► Left wing Justin Courtnall has elected to skip his senior season and has signed a minor-league contract with the AHL Providence Bruins. 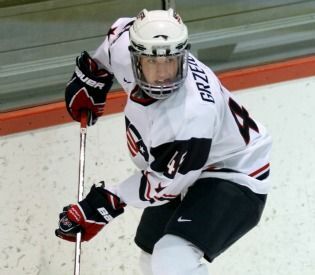 The 6-3 British Columbia native impressed during the Boston Bruins development camp last month and was offered a contract. Prior to coming to BU, Courtnall played for the BCHL Victoria Grizzlies. His departure reduces BU's roster to 25 (15 forwards), including two other former Grizzlies, freshmen Wes Myron and Mike Moran, who will be among those competing for ice time. With the recent addition of defenseman Ahti Okasanen, BU’s 2012-13 recruit class is complete and was officially announced with comments from Coach Jack Parker today. Five forwards, two defensemen and two goalies join 17 returnees from last season’s squad. When Hockey East expands in 2013-14 to add Notre Dame, teams will play only 20 conference games, leaving 14 games for out-of-conference matchups. We’ve learned that BU has lined up home contests against Western powers North Dakota and Wisconsin. 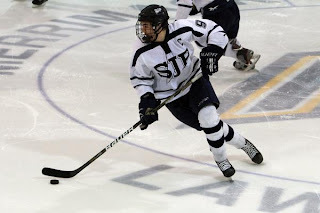 USHR reported that Coach Jack Parker recently attended a camp at UNH to get a first-hand look at one of the nation’s top ’98 defenseman, Chad Krys, who will play for the Connecticut Oilers U16s this season. 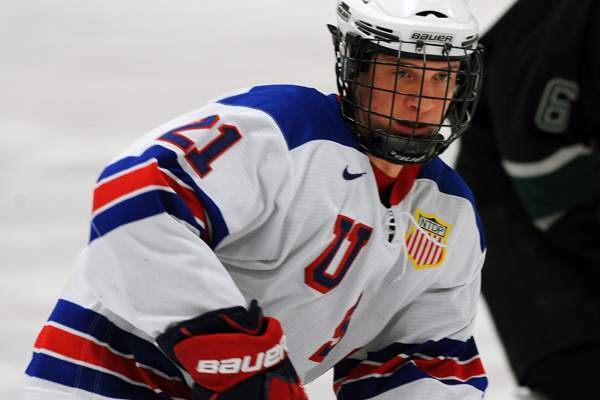 If the name sounds familiar, it should; Chad is the son of former BU blueliner Mark Krys, who played on two Final Four teams—including the 1991 NCAA runners-up--during his Terrier career. 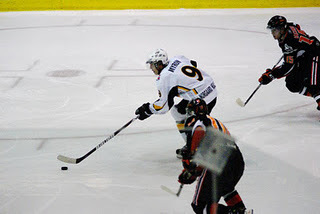 Former BU captain Joe Pereira has been re-signed by the ECHL Idaho Steelheads. Acquired late last season from South Carolina, Pereira sparked Idaho’s late-season run and tied for the team lead in playoff scoring. Another former captain, Pete MacArthur, who finished last season with AHL Lake Erie, will travel across the pond to suit up for the Augsburger Panther of the German DEL. Three ex-Terriers participated in a USA Hockey coaches’ symposium in Washington this weekend: Joe Sacco, Mike Sullivan, and John Hynes. There’s no better hockey IQ than what is taught on the good end of Commonwealth Avenue. Sacco is head coach of the Avalanche, Sullivan is the Rangers’ top assistant and a former Bruins’ head coach and Hynes is the WilkesBarre/Scranton Penguins head coach. A fourth ex-Terrier, Ken Rausch, USA Hockey’s manager of Youth Hockey, led a breakout session at the symposium. Photos. Recipients of Shawn Bates' scholarships to Medford, Mass., high school athletes were announced last week. Bates, who remains the school’s all-time leading scorer, went on to star about BU and play ten NHL season with the Bruins and Islanders. As a Terrier, he was an offensive standout, scoring 144 career points, playing in the NCAA Final Four each season and earning an NCAA championship in 1995. A highlight of Bates' pro career was his overtime penalty-shot game-winner for the Islanders against Toronto in the 2002 Stanley Cup playoffs. BU has added another defenseman to its 2012 recruit class, reaching across the Atlantic for 6-3, 195 Finnish blueliner Ahti Oksanen. He was the top scoring defenseman (and 5th leading scorer) for the Espoo Blues U20s in the Jr. A SM-liiga with a 14-25-39 line and 26 PIMs in 47 games. 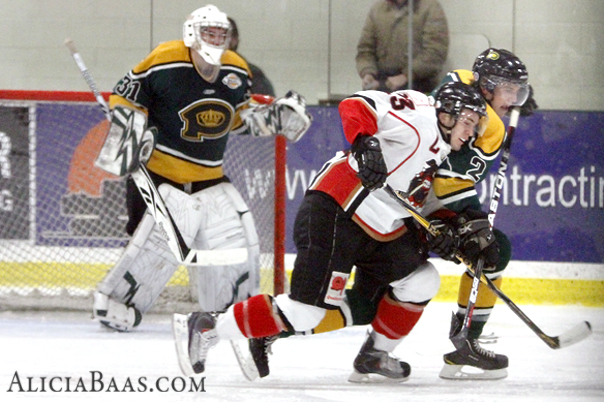 His +42 was the top plus/minus for the Blues and best among all defensemen in the Jr. A league. His assist total was third best for the league’s defensemen. The left-shot blueliner also was second among the league’s d-men in scoring and earned league All-Star honors this past season. 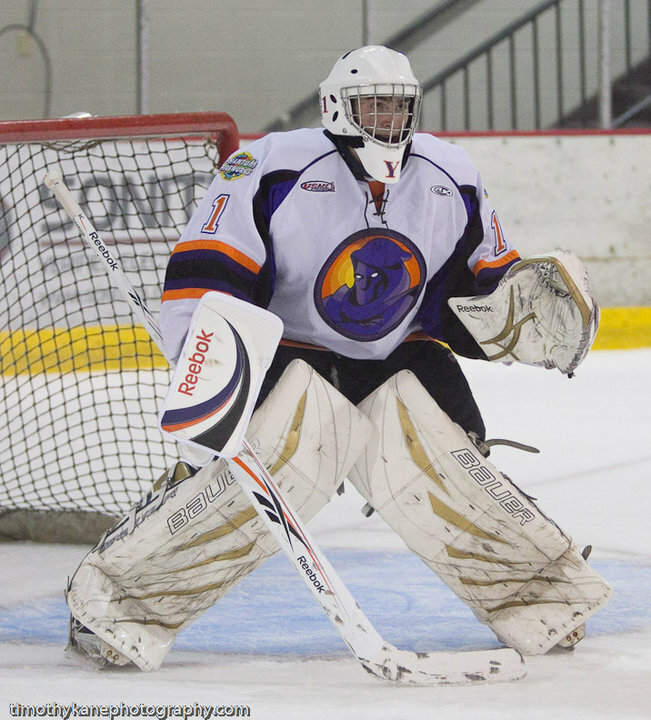 He split the 2010-2011 season with the Blues’ U20 and U18 teams, tallying 15 points in 22 games in an injury-shortened season. Ahti has also represented Finland in international hockey, playing on its U18 team in 2010-11. NHL Central Scouting ranked him #66 among European skaters after a strong second half of the season; however, he was not drafted this past June. 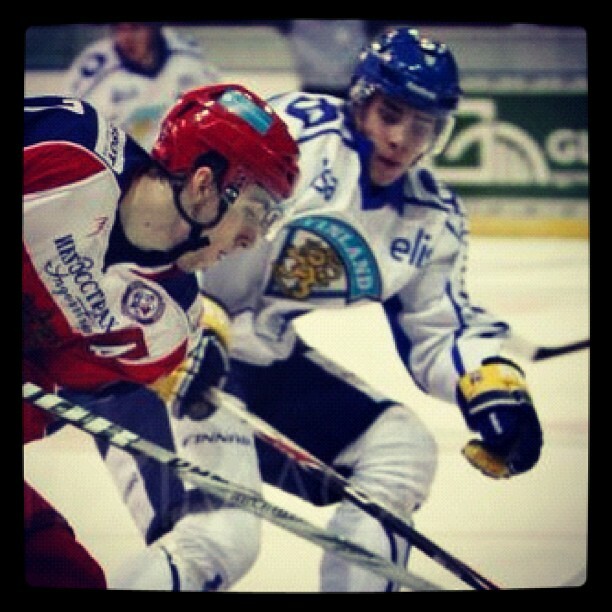 Oksanen is from Espoo, Finland, which also was the home of Peter Ahola, a former BU All-American blueliner. Ahola, who played for BU’s 1991 Final Four team, is now one of the owners of the Espoo Blues. Associate head coach Mike Bavis, a teammate of Ahola on the ’91 Terriers, traveled to Finland to recruit the defenseman. Easing his transition from Finland, Oksanen will be able to rely on Pertti Hasanen, BU’s director of hockey operations and a former assistant coach to Jack Parker. The Finnish native also has served as chief European scout for the Los Angeles Kings and the Calgary Flames. BU’s full nine-member recruit class will be announced in the next day or two. ► The Bergen Record profiles six alums of the North Jersey Avalanche junior program including current Terrier Alexx Privitera and his brother, 2013 BU recruit Jarrid Privitera, who will play for Dubuque in the USHL this season. Blackout Dallas, profiling the Stars’ top prospects, posted this feature on Alex Chiasson, who began his pro career last April with the AHL Texas Stars. Chiasson also talked the NHL.com about his hopes for the coming season.